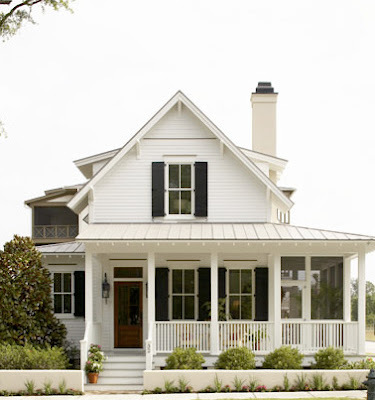 There is something about a freshly painted white cottage that evokes memories of summers in the country or by the sea. 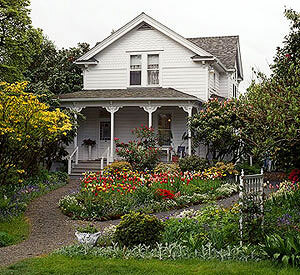 When I think of a white cottage, I get a sense of serenity, with fresh breezes blowing across a porch, of days spent with family, of simpler times. What could be prettier than a lovely white cottage surrounded by flowers. Gardens to fill the interiors with fresh flowers. enclosed with the proverbial white picket fence. I think there may be a bit of white cottage longing hidden somewhere in all of us. 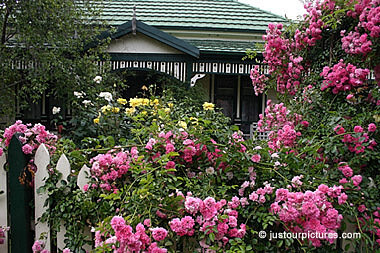 You captured a whole variety of styles and sizes of pretty white houses,all with beautiful flowers. just discovered your blog, I love white cottages too! So charming.....i also like how you post the different Etsy shops on Tuesdays....I love Etsy and know there are hundreds of shops out there that i would love to frequent but just don't have the time to look for them, so i think this is a great idea! Thanks for stopping over! I definitely have a white cottage longing! These are all lovely! Yes you are right, that last home is my absolute dream house. Thanks for visiting me. These are the houses that make me long for some history and an old house with creaky wooden floors where no child will ever be able to sneak out at night! I grew up in a white home with black shutters. They are my favorite. Nice collection of home photos! Thanks for stopping by and visiting. I love the photos of the homes above. 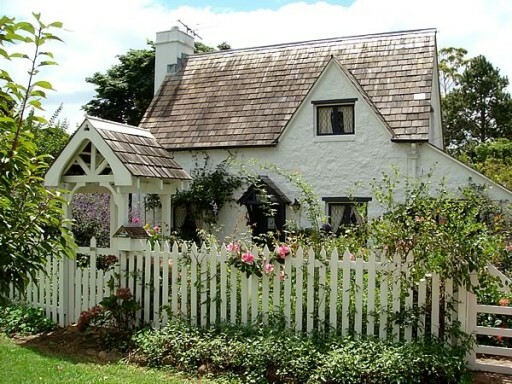 My favorite is the little English style cottage with the white picket fence, that's my dream home. I love your blog, it's just lovely!! Thank you for stopping by my blog and for your lovely comment. Those remind me of the houses in France. Thanks for the trip down memory lane! Love anything with a porch! Thanks for popping by for a visit and the follow. Have returned the courtesy and am now your follower! Also, thanks so much for the sweet comment! Have a great weekend. Thanks for following me, and I am your newest follower. Congrats on three hundred followers!